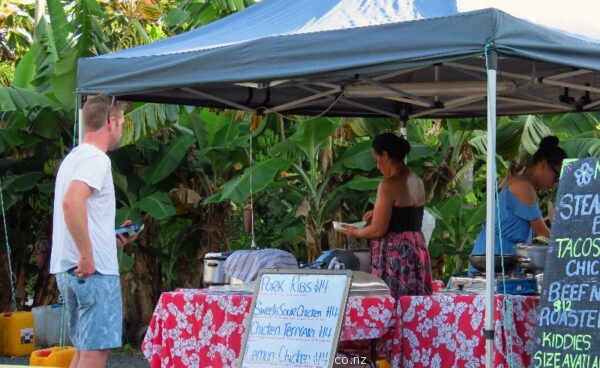 Muri Night Market is held on Sunday, Tuesday, Wednesday & Thursday nights from 5pm – 9pm (weather permitting). 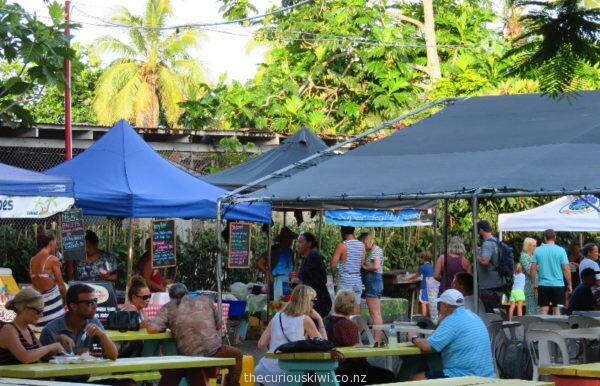 The market is next to Muri Beachcomber accommodation where you’ll also find the bus stop. Take cash as there is no EFTPOS, there is an ANZ ATM nearby. Most mains are $10 – $15, desserts like chocolate eclairs and coconut cheesecake are $5+. 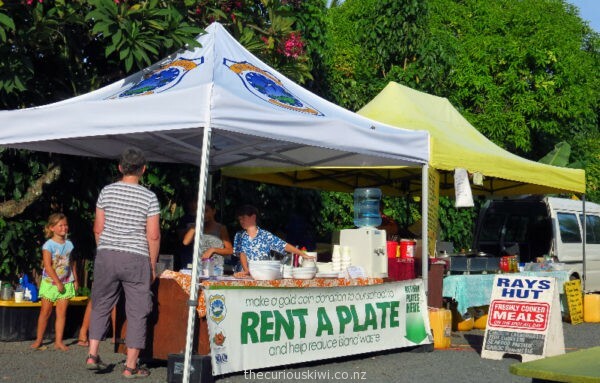 Do a local school as well as the environment a favour by renting a plate and cutlery for a gold coin donation, such a brilliant initiative …. 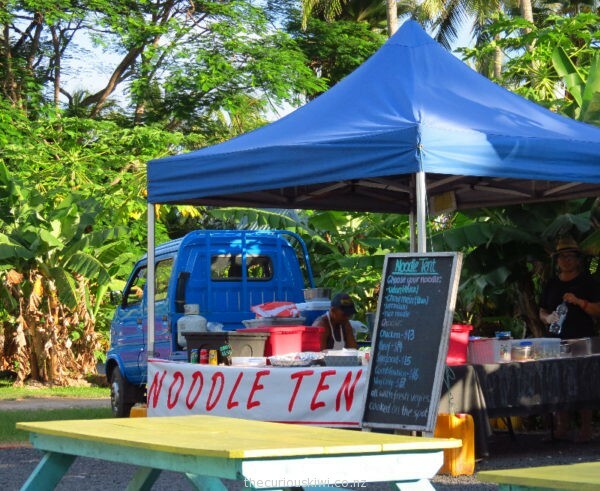 Noodle Tent – choose your noodles: udon, chow mein, vermicelli or rice noodles, add meat, seafood or veges – $13+. 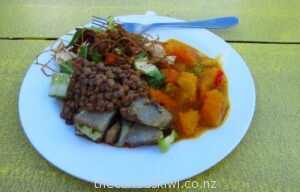 At Tuhe’s Super Healthy food stall $13 will get you a plate of chicken chop suey, tofu, veges, tumeric curry, lentils and kumara salad. Other meals include roasts, crepes, fried food, curries, pasta, tacos, nachos, steamed pork buns and ice cream from the Snow Boys ice cream truck. 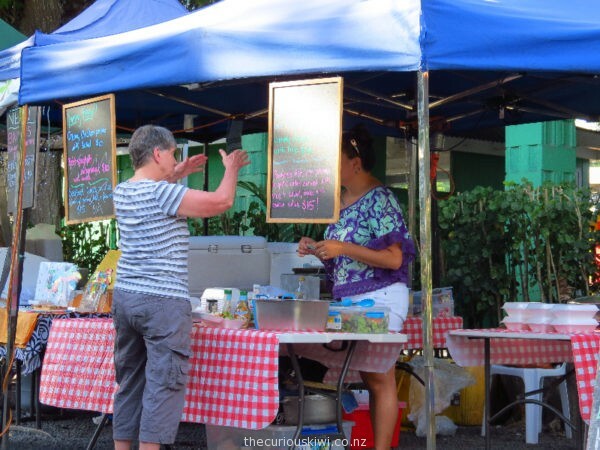 I didn’t see any local dishes like ika mata or banana poke which was disappointing but I only went to the market once and it was low season, vendors will no doubt change. 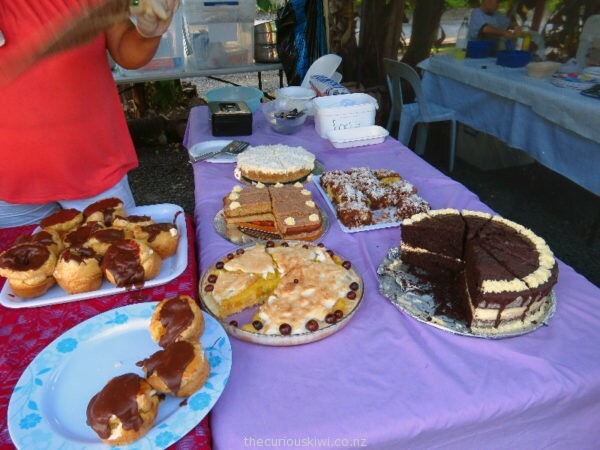 Dessert, it was coconut cheesecake for me …..
There’s plenty of seating including some under cover if there’s a rain shower ……. 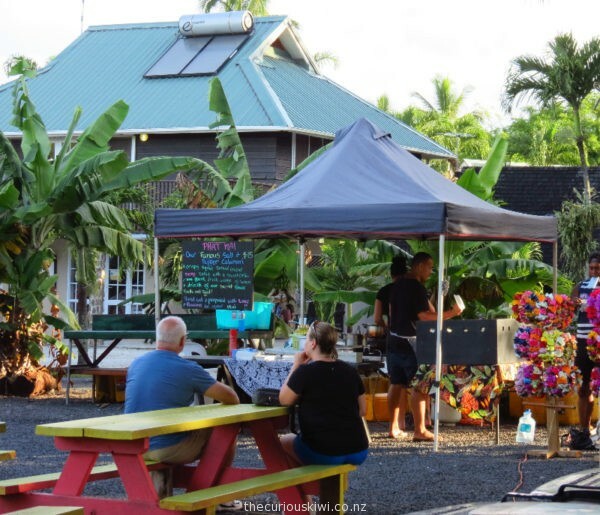 (For more food and dining options see our updated Rarotonga Guide). 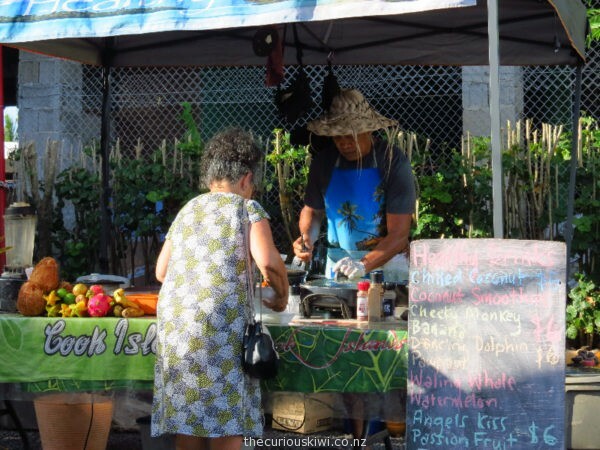 This entry was posted in Pacific Islands, Travel Tips & Deals and tagged Rarotonga by thecuriouskiwi. Bookmark the permalink.